Safety is our highest priority and we uphold this commitment by providing an extensive safety program that ensures all workers are orientated and trained to a level of hazard recognition that is above the industry standard. Paramount Structures always aims to perform beyond expectations, with safety at the forefront of every project. With hands-on active involvement of the Smart Safety management specialists within our organization we ensure that corporate objectives and standards are achieved, and that project safety is tailored to the specific attributes and hazards associated with our work. 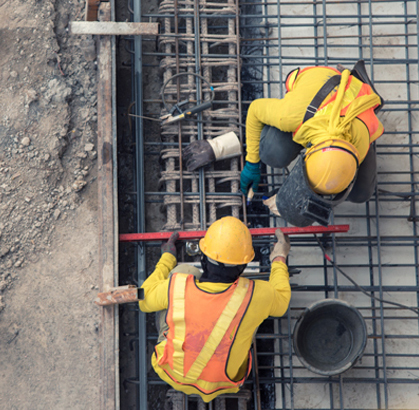 Our Safety team is made up of individuals dedicated to ensuring that all Paramount Structures staff, contractors, owners; on jobsites across the GTA, are able to work confidently and excel in a safe and controlled environment. Paramount Structures commitment to achieving a “0-accident” working environment is just another part of building ‘Great Relationships’, with our own personnel, and everyone else associated with our work. It’s not a commitment to an ideal, it’s a commitment to our people! Paramount Structures Health and Safety standards continue to surpass government requirements and standard industry practices. Even though our Health and Safety Program has earned us a safety record that consistently exceeds the industry average by 95%, we continue to strive for continuous improvement and the ultimate record of a 0-accident workplace. We are industry leaders, and we intend to keep it that way! 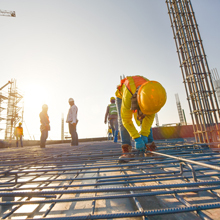 Full integration of safety planning with construction scheduling allows a maximum level of proactive safety, which in turn, creates higher efficiency and productivity. That said, it’s not just good business practice to look after all our employees but the inherent belief of senior management that every worker deserves to work in a safe environment. It’s our continued objective to maintain a culture of safe thinking because; ultimately success is achieved only with everyone’s commitment and participation. In line with our tireless commitment to provide a safe work place for our employees, customers and partners alike, Paramount Structures is proud to be a member of the Safecon Safety Group. Safecon is a vehicle for employers to continuously improve their safety awareness and performance by meeting with other industry professionals to share knowledge, experiences, information and know how. Participating employers follow industry guidelines on organization, legal matters, hazard recognition, training, return-to-work and other relevant topics in an effort to positively expand our “think safe, work safe” environment and ultimately improve morale, productivity and profitability for all involved in the building process for our customers.